The Mimosa hostilis internal root bark originates from a tree privately known as Jurema, Jurema Preta, Black Jurema or Vinho de Jurema and is the most wanted piece of the plant known by the nearby Shaman for its entheogenic properties. Mimosa hostilis INNER root bark, Superior quality brazil rootbark. Normal names: Jurema Preta (hostilis, tenuiflora), Jurema Branca, Calumbi, Tepezcohuite, Carbonal, Cabrera , Mimosa, Caatinga, white jurema, dark jurema. Another totally irrelevant use for this plant originates from Mexico, where the bark of the tree is known under the name Tepezcohuite. 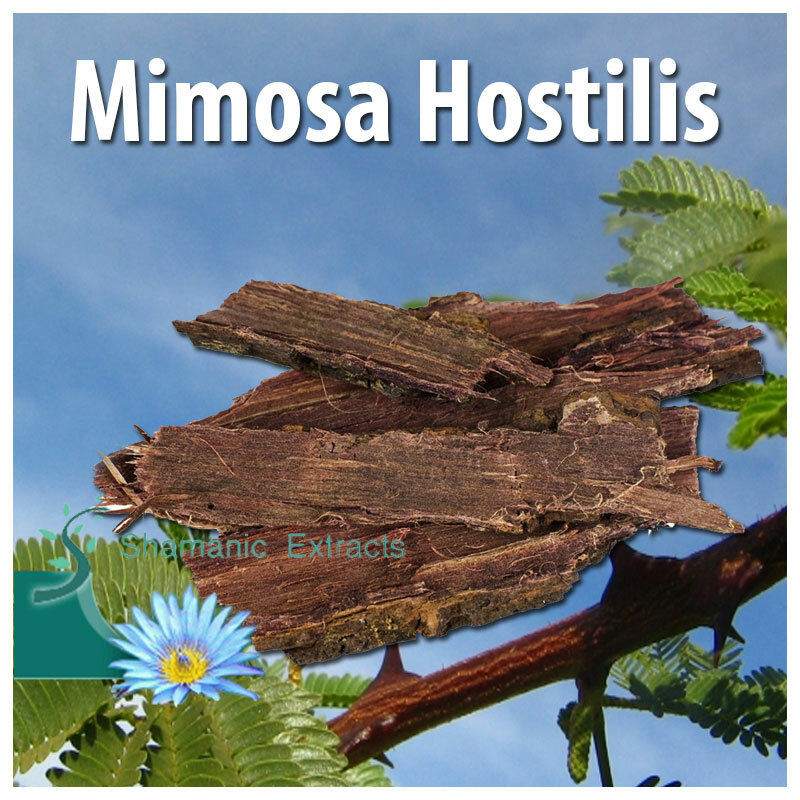 Plant concoction mixes which can be found in Mimosa root bark are: tannins, saponins, tryptamines, alkaloids, lipids, phytoindoles, xylose, phytosterols, glucosides, rhamnose, arabinose, methoxychalcones, lupeol and kukulkanins. Mimosa Hostilis has been valued for thousands of years in South America for its entheogenic properties. The Mimosa Hostilis root bark being the most desired part of the plant by the Shaman that use the Mimosa hostilis in their spiritual rituals. This powerful ally is collected for us from wild grown trees on family owned land without harming the trees or the land. Share your experience about Mimosa Hostilis inner bark with other customers. Submit your tips or thought on this product, be detailed and specific.